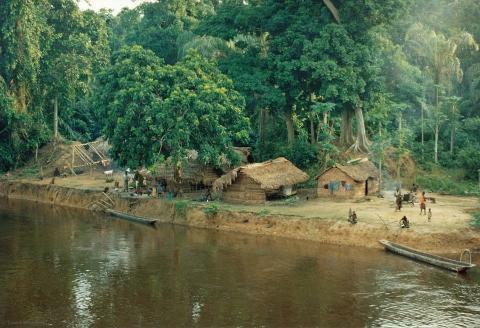 The Congo River, also known as the Zaire River, is the worlds deepest river. The river is somewhat of a lifeline for the people in the Congo as the country significantly falls behind when in comes to road infrastructure, or any infrastructure for that matter. For villages scattered along the river, boats are a significant factor in their day to day life. In addition to transporting necessary supplies, the boats often double as a market where villagers can sell their goods, and as a result create a bit of an income. Four days of travelling on Congo River just may be the realest and most raw experience you will ever have. While the boat is a far cry from luxury, it offers just a glimpse into what life is like in the Congo. As you coast along the Congo River, you're surrounded by an incomparable beauty, a rainforest that is almost completely untouched. Day 1: This morning, you'll be picked up from hotel in Brazzaville and be transferred to the boat. 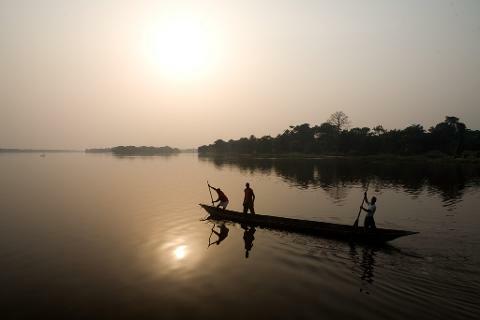 You'll depart from the northern port point in Brazzaville with two guides and supplies. Day 2 and Day 3: The next couple of days we'll find our selves amongst natures finest. 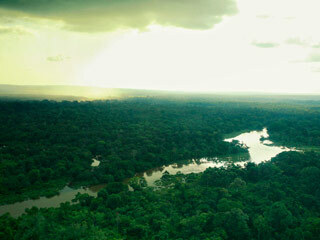 Rainforest for miles and scattered villages along the Congo and Alima River. As we pass by these villages, there may be occasional stops to bring needed supplies as this is the primary means of delivering such essentials. As we spend time on the boats and in villages, you have a rare opportunity to interact with the locals and a chance to truly appreciate their lifestyle. Because this part of Africa is one of the least visited spots on Earth, seeing tourists for many is quite rare, though very welcome. The warmth of the locals is surely felt, and they are also keen to interact with you. Although our accommodation is in a comfortable cabin on the ship, it is extremely basic. It is the exact opposite, or less, of luxurious. The cabin is unembellished and as rustic as one can imagine on an African cargo ship. While it's not likely to be the most comfortable sleep you've ever had - it is a memorable adventure and only adds to the incredibly local experience you're partaking in. The entire experience is genuine and is definitely not a polished version in any way. While there is a set schedule, things are always subject to change. Embracing the possibility of spontaneity, makes for an even better experience! Day 4: Today we arrive in Oyo, a port on the Alima River. The Alima River is a tributary of the Congo river packed with tiger fish and also has plenty of local life on it's banks. By road, Oyo is over 400km from Brazzaville and is most known as the residence to the President of the Congo and his family. 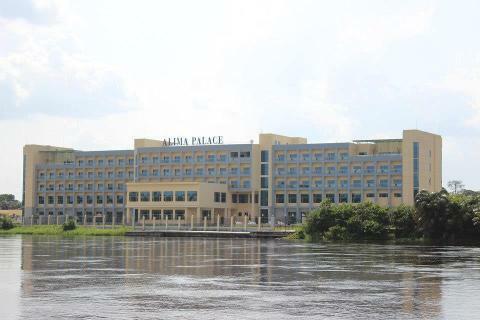 Today we will take a tour of Oyo, Alima Palace, and also have a chance to see the palace of the President. Day 5: This morning we will overland back to Brazzaville in a private vehicle through Louna Park, a gorilla reserve, past the Congo River Shore, and the Cup of Nations Stadium. Once we reach Brazzaville, you'll be dropped off at your preferred hotel in the city and enjoy some optional cocktails and dinner this evening. Should you have some extra time, you can extend your trip by three days to visit the Louna National Park and visit Lowland Gorillas, or by five days to visit both the Louna Gorillas and Park and the Lefini River and Lefini Elephant Sanctuary for African Forest Elephants! ** This tour is available on a bi-weekly basis. The ship runs once every two weeks, therefore all enquiries are require some coordinating to ensure dates are properly aligned and a boat is available.